If you’ve never been a part of an English Department, you might think Julie Schumacher’s The Shakespeare Requirement is overly exaggerated, but from personal experience, let me tell you, it’s uncomfortably close to reality. Although Schumacher had me laughing out loud at some of the shenanigans, it’s funnier when reading about it, when not inside the academic ninth circle of Dante’s hell. Schumacher gives treachery a new twist with a PhD. Jay Fitger, first introduced in Schumacher’s Dear Committee Members, is back as the reluctant new Chair of the English Department at Payne University. He has been missing most communications because he refuses to connect to the campus-wide computer calendar system which schedules meetings, posts notices, and generally communicates anything important. He cannot understand why people can’t just write notes and make phone calls. Relegated to the dilapidated basement of Willard Hall with no heat in winter and wasps in summer, Fitger must convince his colleagues to approve the department’s vision statement before he will be given a budget. The Shakespeare requirement for all English majors is doomed to be one of the many cuts from the curriculum, to make way for more user friendly fare (“The American Soap and the Telenova”); however, the senior tenured professor of forty years and the department’s Shakespearean scholar, Dennis Cassovan, has taken a stand. Since the vote for the vision statement must be unanimous, and never has the English Department ever agreed on anything (“Unanimity in English – it was akin to a rainbow over a field of unicorns),” the vision statement is stalled. Meanwhile, the chair of Economics, Roland Gladwell, a business type who curries corporate donors, and is not concerned whether students can read or write, is conspiring to reduce the English department to shreds. Roland makes deals with rich benefactors, luring them with their names on buildings and tries to further dissect the English department faculty vote with bribes. As he continues his behind the scenes treachery, his success seems insured. If only someone could stop him. Sadly, noble Jay Fitger is too busy being a good guy – advising a bright pregnant freshman, nursing an English faculty member who has noone to help after his surgery, trying to appease his colleagues as he continually rewrites the department vision statement. If this were not a novel, poor Jay would be out of his job while Roland would be basking in a new office with a promotion. But this is fiction, and the good guys can win. With a twist of fate and a garble of names, self-serving Roland finally makes a mistake, publicly and irrevocably. You may see it coming – at least I was hoping for it – but Schumacher deftly creates a funny scenario not only satisfying but laughable, producing one of the funniest lines in the novel. The Shakespeare Requirement is not for everyone, but if you have ever wondered what really goes on in the halls of academia, or if you have ever been there yourself, you should read this satire. It’s bright, funny, intelligent, righteous, and it can be cathartic. I really didn’t want to read Nathan Hill’s 620 page novel this summer; I think the nix made me do it. A Nix is a Norwegian mischief maker, a mythical spirit character who can be dangerous. In Nathan Hill’s novel The Nix, a house spirit from Norwegian folktales is only the seasoning adding to the overall flavor of his expansive examination of pretty much everything politically and socially in the 1960s leading to an overwhelming examination of what is wrong with today, politically and socially. The “meat” of his story, however, is about how people overcome their fears and guilt, relate to one another, and are never, ever, who you think they are. Although Hill’s long Faulkner-like paragraphs ramble to include every detail of scenes I often did not want to know so much about, his characters are funny, human, pathetic, happy, and miserable – all at once – reminiscent of John Updike or Philip Roth. His ability to suddenly jolt with information through switchbacks from the late 1960s to the almost present kept me riveted. His surprises came at times just when I was about to stop reading, but then could not. The Nix is about a lot of things — about politics and online gaming, about the tenuous friendships of adult men and the 1968 Democratic National Convention. It is a vicious, black-hearted and beautiful satire of youth and middle-age, feminine hygiene products, frozen foods and social media. But more than anything, it is a treatise on the ways that the past molds us and breaks us and never lets us go. How it haunts us all. Not everyone will agree that reading a novel over 600 pages is worth the time – remember The Goldfinch? I liked that book too. But, for me, The Nix became a book I had to finish – not only to find out how lives finally resolved, but just to catch more of the humor and wisdom between the lines. Not for everyone, but I’m glad I listened to a fellow reader and fell in. 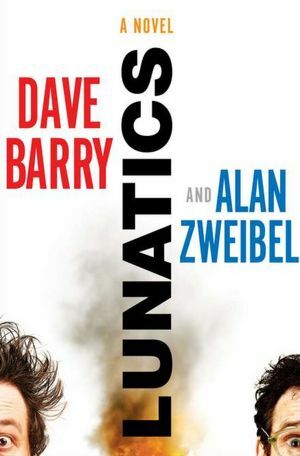 In a funny confrontation between two “wild and crazy guys,” Dave Barry and Alan Zweibel will have you thinking they are the Lunatics in their namesake novel. In spite of myself, I ended almost every chapter laughing out loud. Taking turns being idiotic, each author alternates writing chapters as Philip, the happy owner of a pet store called “The Wine Shop,” and Jeffrey, a forensic plumber, angry at the world for getting in his way. Of course, their paths cross. In a ridiculous sequence of random events that innocently starts with a soccer game, the two become embroiled in a series of mishaps that has them chased by the police, terrorists, bears, and pirates. They almost destroy the world, and then put it back together in better shape than before their exploits. The language can be crude and insensitive; think Jon Stewart and Steven Colbert. If you don’t like your laughs rough and bawdy, or if you are a Prius driver, this book may not be for you. On the other hand, if you are thinking about taking one of those new cultural vacations to Cuba, you might want to read the book before you go. Both authors get carried away, and the side bars – although funny – seem to run-on, but if you decide to skip through some of it, be sure to check out the Republican National Convention at the end (if you are a Republican, you may not be as amused). Lunatics is quick silly diversion; I wondered which author wrote each character (in an NPR interview, Dave Barry admits to being the forensic plumber), but I knew they must have had fun writing their plotless wonder together. You may be able to take the girl out of the country, but it’s harder to take the country out of the girl. In the case of Francine Prose’s My New American Life, the country is Albania. Twenty-six year old Lula has left Albania to find the American dream, and lands a job in New Jersey as a nanny to a sullen teenager. His father, Mr. Stanley, a Wall Street banker, has a lawyer friend, who can pull strings to get her a work visa. She settles into an easy life of being around for Zeke when he comes from school, making egg-white omelets on Sundays – substituting for the mother who left abruptly on a Christmas Eve. Encouraged by Mr. Stanley and her lawyer, Lula tells and writes stories about her homeland, exaggerating her family’s participation in the war and the horrors they endured – using old folktales to enliven her plots – letting her narrative seem to be real experiences she never had. Her secure new life is threatened by a group of young Albanians, led by handsomely dangerous Alvo, who conveniently find her alone one day and ask her to hide a gun. Prose uses Lula’s sarcastic observations of American life to reflect her own opinions of post 9/11 and immigration during the George W. Bush era. Whether or not you agree with her political leanings, the comments are biting and humorous. But Prose has a hard time sustaining the irony, and it’s tempting to move quickly over the excessive cynicism. Through Lula, Alvo, and friends, Prose also offers glimpses into an immigrant’s life in a strange country, the longing for acceptance, and the search to be with those who share a common history. 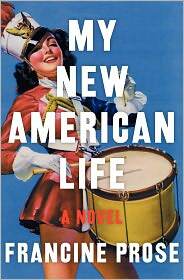 With tongue-in-cheek sarcasm and a contrived plot, My American Dream may make you think about what it is to be an American.